The opening of the new special exhibition For Liberty: American Jewish Experience in WWI, the closing of John Singer Sargent Gassed, the fifth annual Taps at the Tower and a discussion on African Americans in war highlight the June events at the National WWI Museum and Memorial. For Liberty: American Jewish Experience in WWI, which was hailed by the New York Times as “remarkably prescient,” opens on Friday, June 29 as the second exhibition in the Wylie Gallery. The exhibition provides an in-depth look of what life was like for Jewish Americans on the homefront and for the nearly 250,000 people who served in the American Expeditionary Forces through remarkable stories and artifacts. Featured items include Irving Berlin’s draft resignation card and the handwritten draft of Leon Simon’s 1917 Balfour Declaration, a public statement from the British government that helped lay the foundation for the establishment of a Jewish state. 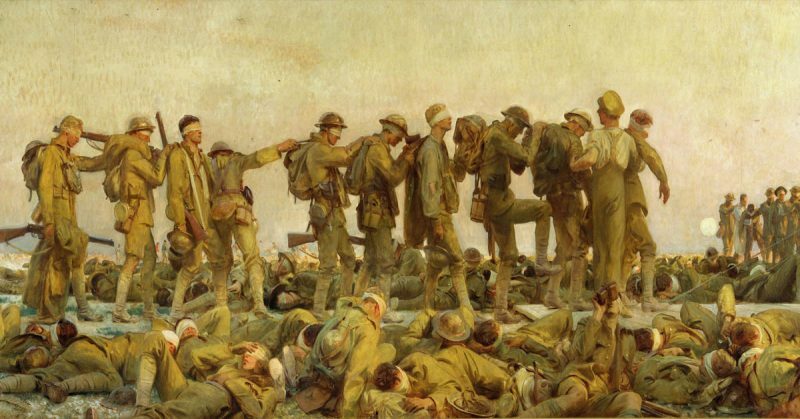 For Liberty follows the current exhibition, John Singer Sargent Gassed, which ends its run in the U.S. on Sunday, June 3 before the monumental painting is shipped back to the United Kingdom. From Sunday, June 17, to Saturday, June 23, the Museum and Memorial welcomes the public to the fifth annual free ceremony Taps at the Tower. Taps, a musical piece sounded at dusk and at funerals, has a rich and storied history in the U.S. and has long been associated with the U.S. Military. People are encouraged to bring picnic supplies, play games and enjoy the outdoors while enjoying the beauty and simplicity of the Taps bugle call along with the symbolism of the Liberty Memorial Tower each evening at sunset (approximately 8:45 p.m.). U.S. Army Lieutenant Colonel (retired) Bernard Harris provides a deeper understanding of the lives of African Americans in WWI in a free program on Sunday, June 24, at 2 p.m. Many African Americans saw the war as an opportunity to redefine their U.S. citizenship and improve social, political and economic conditions. Harris will discuss African American officers’ training camps at Fort Des Moines and the many challenges soldiers faced at home and abroad during the war. 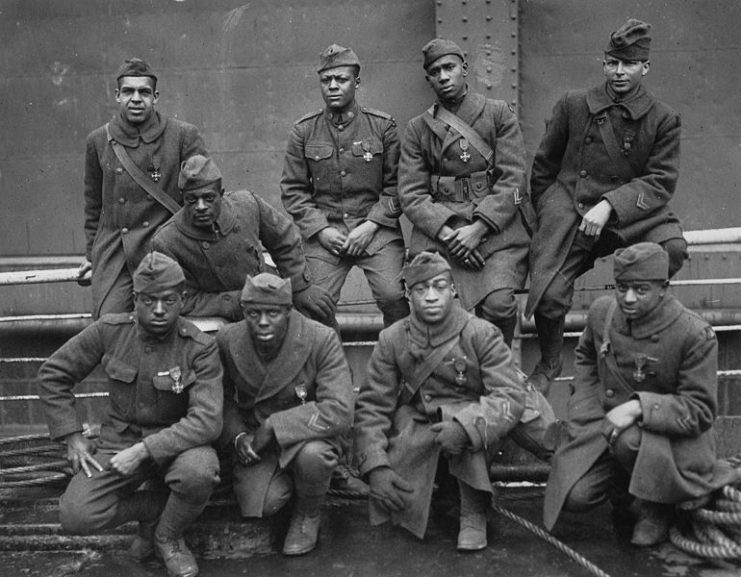 Some of the African American soldiers of the 369th (15th N.Y.) who won the Croix de Guerre for gallantry in action. At 6:30 p.m. on Wednesday, June 6, the Museum and Memorial hosts composer Timothy C. Takach, co-liberettists Pat Daneman and Rob Hill, and historian Dr. Jason Crouthamel for a discussion on the creative process behind We, The Unknown, inspired by the story of the Unknown Solider of WWI. This choral commission pays tribute to all who served and is free with RSVP. The program will also discuss the experiences of African Americans, the queer community and women during WWI through historically-inspired narratives. Following this event, We, The Unknown premieres on Saturday, June 9, at 8 p.m. and will be shown a second time on Sunday, June 10, at 4 p.m. at the Folly Theater. This program explains how the Unknown Soldier of WWI was chosen and is part of larger performance of Indivisible: Songs of Resistance and Remembrance performed by the Heartland Men’s Chorus and explores the relationship between protest and patriotism in our country. Tickets to this performance can be found at hmckc.org/tickets. The U.S. Armed Forces engaged in several pivotal events, such as the Second Battle of the Marne and Battle of Soissons, that shaped the outcome of World War I. On Tuesday, June 26, at 6:30 p.m. award-winning historian and Lt. Colonel (retired) Shawn Faulkner of the Command and General Staff College discusses the actions during these crucial moments in history that impacted the year of the Armistice. Other events occurring in June include: Mrs. Wilson’s Knitting Circle (10:30 a.m., June 2), a special edition of Hands-on History focused on the painting Gassed (1 p.m., June 2), HEAR Now Festival: Blood Cotton, Audio Fiction & Arts festival (1 p.m., June 9) the monthly Day in the Life program with Living Historians: Boredom in the Trenches (10 a.m., June 10), a Flag Day Concert with the American Legion Band of Kansas City (1 p.m., June 14), Voices on the Western Front concert (6:30 p.m., June 28) and Hands-on History (11 a.m., every Saturday). 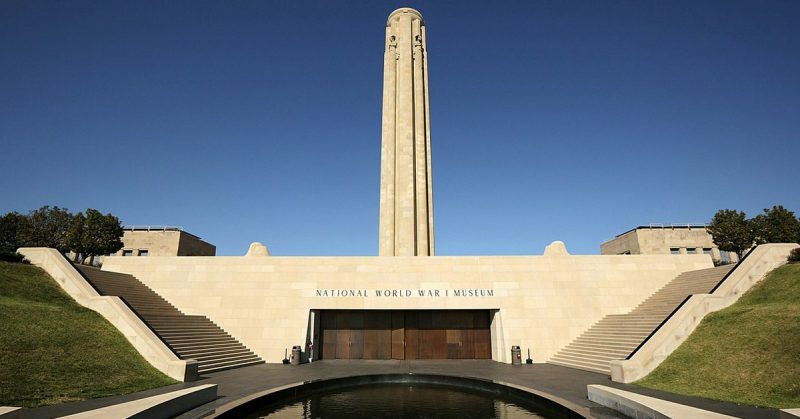 The National WWI Museum and Memorial holds the most comprehensive collection of World War I objects and documents in the world and is the second-oldest public museum dedicated to preserving the objects, history and personal experiences of the war.